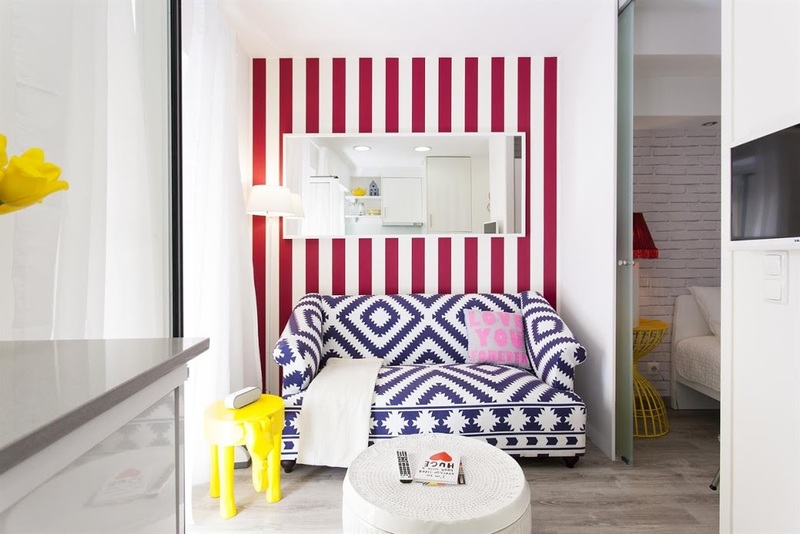 This is a small but very cosy and comfortable apartment in the heart of Alfama and a perfect base for 2 guests in central Lisbon. Located on the 1st floor of a traditional building in a small, typical cobbled street in the Old Town of Lisbon. The main open space area serves as both the living room, kitchenette and dining room. The apartment is within an easy walking distance of some of Lisbon’s most popular attractions, including the ancient Sé Cathedral and the Castle, as well as the Fado Museum and the National Pantheon. There are plenty of cafeterias and traditional Fado restaurants in the district. This hip loft-style apartment, has exposed brick walls, wood floors and a clean white aesthetic, whilst still being kitted out with the latest technology, from the light system to the high-velocity internet connection and LCD TV. A dividing panel leads to a double bedroom and a large bathroom with Jacuzzi and shower. A little balcony looks out on to a peaceful inner courtyard. It is located near the Santa Maria Basilica and within a short walking distance to Vatican city and the Pantheon. 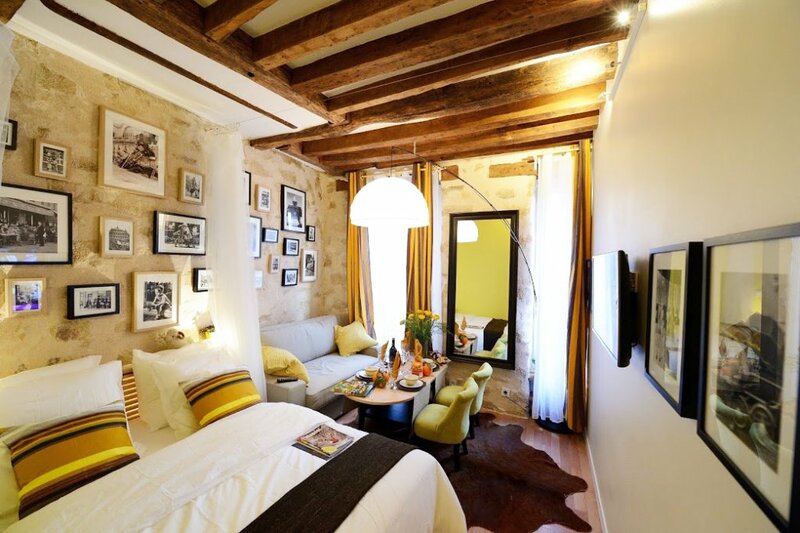 This Parisian 1 bed is a great ‘small, but perfectly-formed’ love nest, for a romantic long weekend in the Capital of Love. The compact yet cosy apartment has a fully-equipped bathroom and kitchen and is based in the 2nd arrondissement, very close to the Louvre and Pompidou centre. Don’t thank us now…just remember our invites yeah?